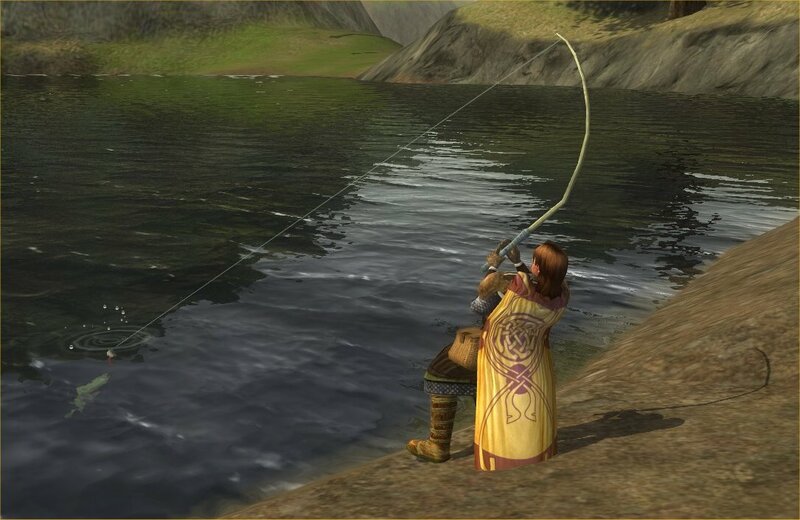 In another attempt to keep me from reaching the level cap in any MMO, Turbine has done their part by introducing fishing to Lord of the Rings Online. 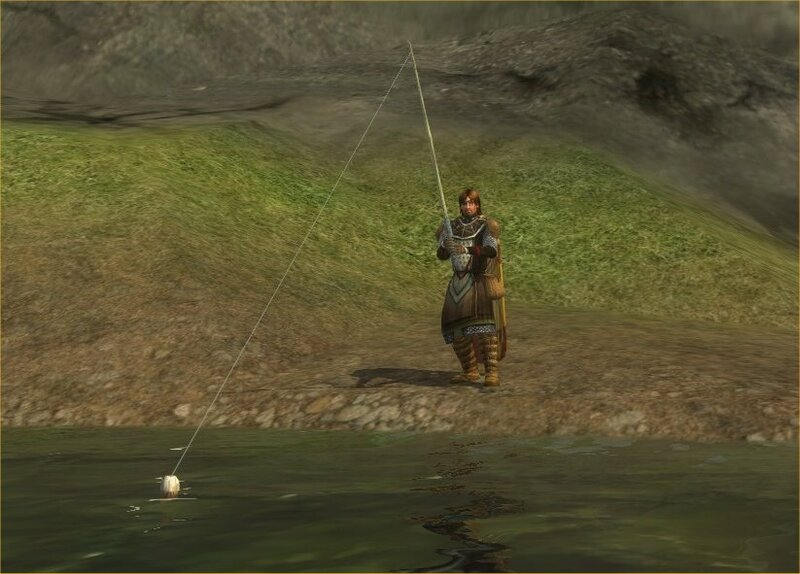 I spent much of my recent game time on the shore of any lake or river I could find, doing battle with another form of monster, the fish of Middle-earth. 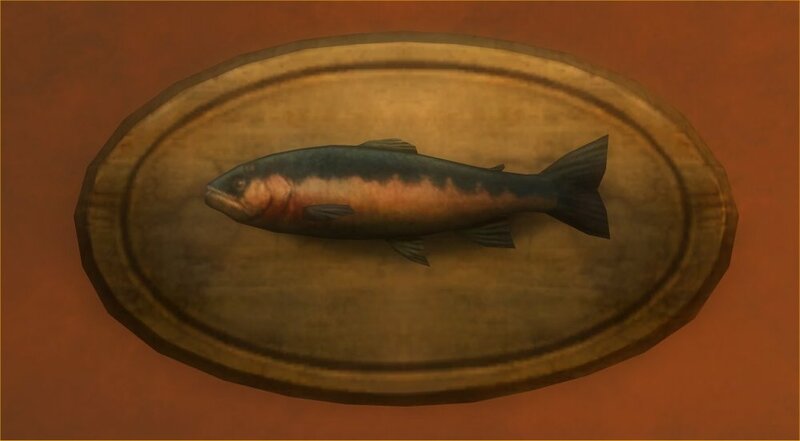 Some of my prize catches have already been stuck on the walls of my house. 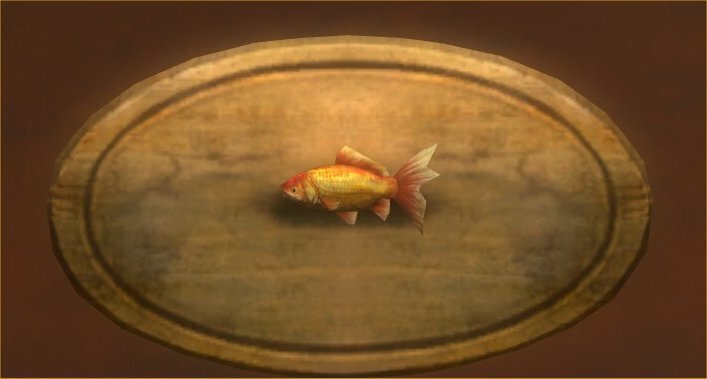 First trophy was the Giant Goldfish, yes that’s correct. 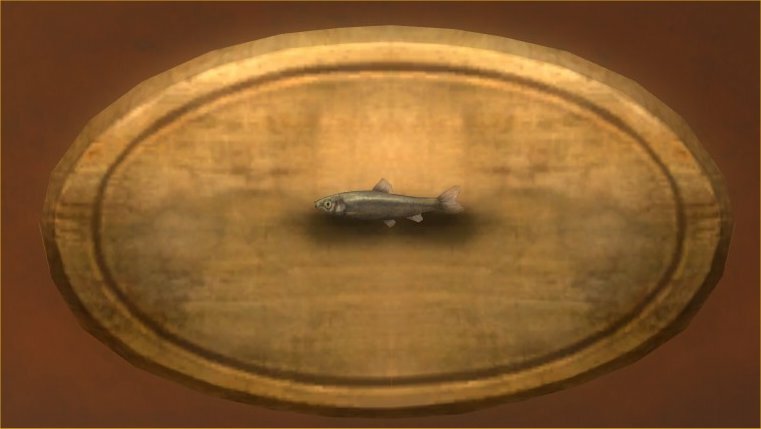 Later on I caught a Magnificent Minnow. Hard work paid off with some bigger fish. 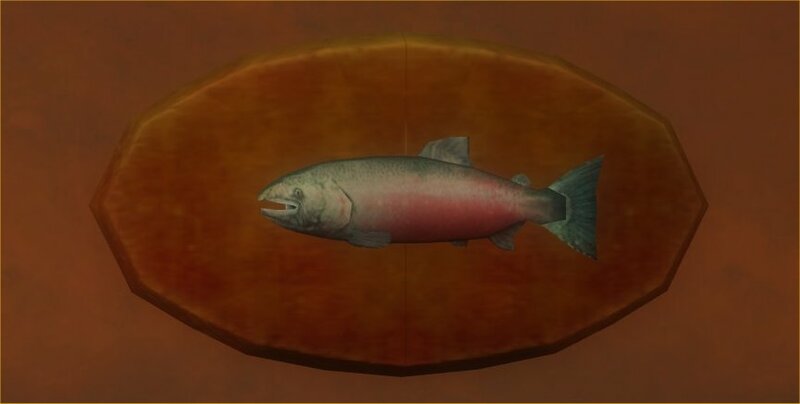 Eventually I caught a Colourful Charr and then a 4-pound Salmon. Not all was fish guts and glory. I also pulled in piles of weeds, more rusty daggers than I can count, and several of these tasty items. 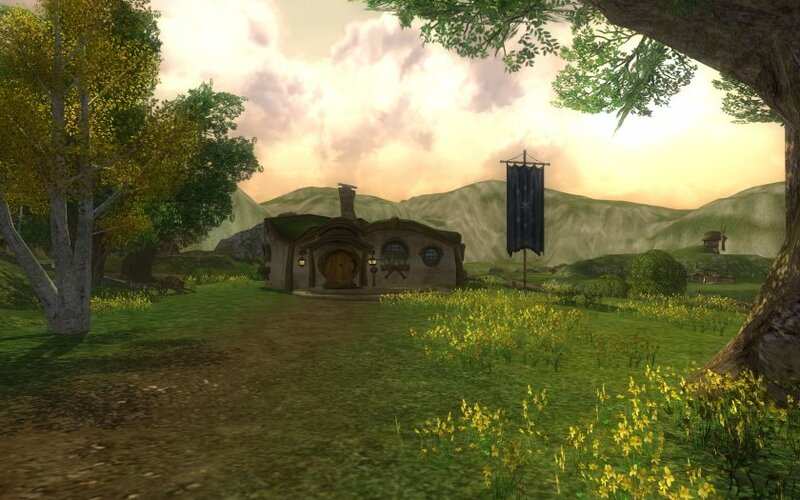 All and all, Turbine did a fine job of adding the first of many hobbies to the game. At this rate I’ll never get to level 50. The “doing battle” picture is very nice! It shows the fish on (or nearly on) the hook very well. I really enjoyed the “battle” picture myself..